Fires and farming have reduced the original vegetation of Canterbury to a few remnants. Once there were large podocarp forests on the Canterbury Plains. 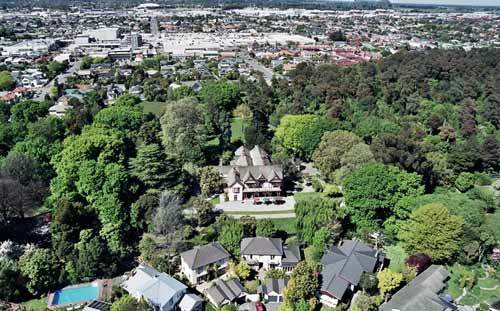 Now little remains, but an exception is the small area of kahikatea forest at Christchurch’s Riccarton Bush, at the right of this photo. Also known as Deans Bush, it abutted the run established by brothers John and William Deans in 1843. In a clearing is the large homestead, Riccarton House, built later by the Deans family.